Next time you have a big party, family get together, or have just been putting off the dishes for some time, you have a new option. 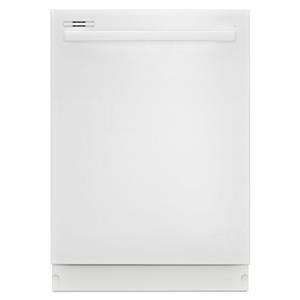 The one-hour cycle on this dishwasher will help speed up the process and clean all of your lightly soiled loads faster. 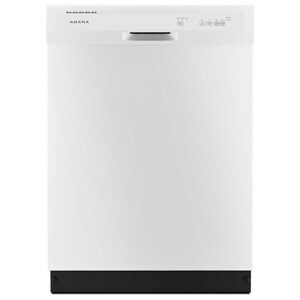 Now you can finally clean up all of those dishes that have been piling up faster than you have been able to clean them. 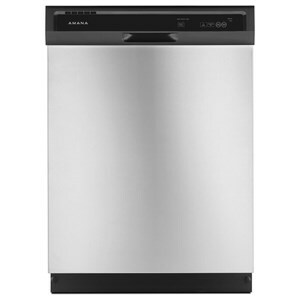 The Built-In Dishwashers Amana® Dishwasher with Triple Filter Wash System by Amana at Furniture and ApplianceMart in the Stevens Point, Rhinelander, Wausau, Green Bay, Wisconsin Rapids, Marshfield, East and West Madison, Wisconsin area. Product availability may vary. Contact us for the most current availability on this product. Total Capacity 12 Cu. Ft.